Sitting back in my chair after a pleasant dinner, I watched our friend’s 8-month old twins scarf down their dessert – delicious looking, homemade energy bites. After inquiring about the recipe, I was informed that the chocolatey, peanut buttery Pinterest find was partially healthy because quinoa was the main ingredient. “Have you ever had quinoa?” she asked. No sooner had, “I haven’t, but I’ve always wanted to try it” came out of my mouth did Tim pipe up with an enthusiastic, “I have!”. For a guy who doesn’t like mushrooms, I was rather shocked. I’m sure the surprise was written all over my expression. As a culinary enthusiast and avid eater, I consider my palette well informed, so I was surprised Tim had tried a food I hadn’t. The surprise didn’t stop there. When I wondered out loud what restaurant he had tried quinoa at, Tim informed our little gathering that he had made it at home once or twice. I was so impressed that, as a bachelor, my husband had cooked quinoa, a fairly obscure grain, for dinner more than once. That casual conversation around the table led to a fun discovery and an important reminder: [pullquote position=”right”]getting to know your spouse isn’t a one-time accomplishment. Husbands and wives should be life-long learners[/pullquote] – about each other! Once the basics are out of the way – family, hobbies, goals, personality type – it’s easy to let learning take a back seat. You know you love the person, so much so that you chose to spend the rest of your life with them, but in the long run, that love isn’t a substitute for intimate knowledge. My dating relationship with Tim started with hours and hours of conversation. Now, more than 18 months into our marriage and endless conversations later, I’m still learning new things about him. Some are fun facts, like his cooking habits; others are serious, like fears and past pain. All are worthwhile new discoveries. Sometimes I feel bad when I find out I didn’t know something about Tim, but I’m realizing there’s no reason to feel like a bad spouse when you discover new things about the person you married. People change and there will always be more to discover about your bride or groom. That’s part of what makes relationships exciting. Life-long learning can be passive, a la my quinoa discovery, but the benefits will be richer and more meaningful if the pursuit of knowledge is purposeful. Build time into your schedule to ask questions, try new things, and dig deeper into the person you married. Actively listen and engage when they speak. Study. Notice. Don’t forget to share the fun things you discover. It’s affirming to know someone appreciates your nuances and is excited to learn these new factoids. All the new things I learn about Tim (the good, the bad, and the ugly) make me love and admire the man I married even more. So, why would I not continue to actively pursue learning about one of my favorite topics? (affiliate link) Table Topics – Makes get to know you questions seem more like a game than an interrogation. Great for families too. (My family has used them for new significant others and to stimulate good dinner conversation). What are some fun things you’ve learned about your spouse lately? How are you a life-long learner in your marriage? I’m (writing) in two places at once today! You can find me over on Kayse Pratt‘s blog and at Embracing Marriage. My blogging buddy Kayse had her sweet baby boy a few days ago. She planned ahead and scheduled guest posts, with the theme of gratitude, for the month of November so she could fully recover and enjoy her little Nathan. I’ve collaborated with Kayse before (How To Maintain A High Maintenance Marriage) and am glad to be over in her neck of the interwebs again today. This time around, I’m writing about motherhood, not marriage. I’m a newer contributor to Embracing Marriage, but I have enjoyed being part of the community developing on the Embracing sites. My post today is all about being weird – embracing who God made you to be, especially in the context of a marriage relationship. You can read the post (and all about some of my quirks) here. Green carpet, small TV, and a lumpy bed, but there’s still nothing like my own house. Dogs and I express affection in drastically different ways. That last nugget of truth got me thinking about love languages. 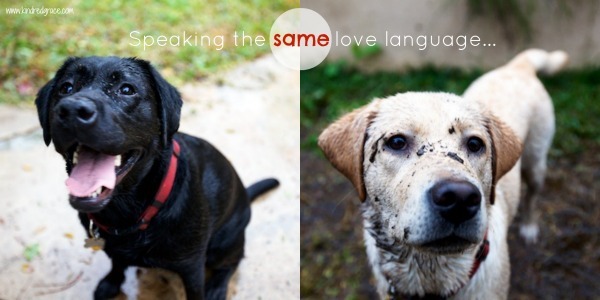 I’m sharing my conclusions about dogs and love languages over on Kindred Grace today! Hug Me! 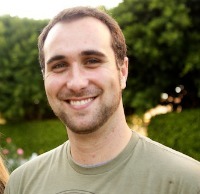 Learning Your Husband’s Love Language – Tim’s love language is physical touch. Mine is not. Enough said. How To Make Time For Quality Time – a good reminder for every marriage. I’ve taken the Myers-Briggs Type Indicator test three times. Twice for class, once for fun. You could say I like to learn about myself and how I think. Each time I’ve taken the test, it usually says the same thing: I function as an introvert, but I have extroverted tendencies. When it comes to social situations, I’d much rather stay home and watch a movie or spend time staring at my beautiful wife than be thrust into a situation in which I will have to chat-it-up with people I hardly know. In fact, I try to avoid those situations if possible (which doesn’t quite work with my profession, a youth pastor). However, when I can, I recharge alone or, preferably, with only my wife. 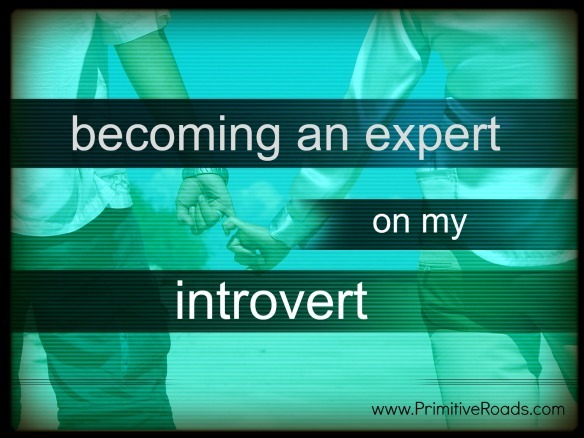 This works perfectly, because similarities attracted when my wife and I got together, as she is also an introvert. You would think that two introverts being married is pure bliss, right? Two people always ready to share alone space together, perfectly content with recharging in silence. However, Emily is not a borderline introvert like myself. She is, as she has talked about on her blog before, a full-blown, internal processing, think-before-you-speak introvert. And I love that about her. I love that she is intentional with her words. I love her processing face (yes, she has one). I love that she is happy simply sitting next to me for hours on end. This definitely scratches my quality time itch. But, because my introvertedness looks like extrovertedness compared to my wife, it occasionally produces situations in which my need for talkativeness and her need for silent processing clash. I might be the first to desire a verbal “we’re ok” after an argument, and Emily might need to continue to think through her thoughts for the rest of the afternoon. Both are valid because both are in line with our personalities. I have found that in order to communicate properly with my sweet introvert, I need to become an Emily expert. I need to learn how she ticks, what she needs in order to process (time & space), and when to give her time to recharge. The more time I spend with her, the more conversations we have regarding our temperaments, the more I get to know how she ticks and what she needs. And yes, this goes both ways. Each spouse should become an expert on the other person. I have learned that after a long day of meetings or other social interactions, I know that Emily needs time to sit in silence. We’ll watch TV or read a book. Usually her long days coincide with my long days, so we’ll both function as quality introverts. Being an Emily expert, I know when she shouldn’t schedule meetings (after a long morning at church). Being a Tim expert, Emily knows when I need to take a break from work. We use our knowledge together to insure a more harmonized approach to life so we can both be healthy. While Emily and I have personality differences (life would be boring without them), we work well together – which takes time, conversations, and a lot of grace. I thank God that He gave me Emily. She is a blessing to me everyday. And I couldn’t imagine not being married to this amazing, introverted woman. Tim is living the newlywed life in Northern Idaho with his best friend, Emily (me!). He’s a triathlete, coffee connoisseur, and trumpet/guitar/piano player. Seeing families connect with each other and with God is his passion. 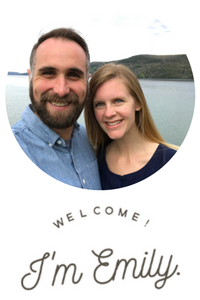 He currently serves as the Youth Pastor at Coeur d’Alene Bible Church.